"All the fishing boats have returned to the harbor and well prepared for embracing the strike of the typhoon and now the wave is getting bigger...," said news corespondent. This kind of news was very common when a typhoon appeared to hit Taiwan. It was also time for me to learn about harbors' locations in cities or counties from typhoon news. Chenggong Harbor was one of the harbors that I had learned from the news. This was the first time that my husband and I stopped in the fishing town of Chenggon on the East Coast taking a leisure travel day. When we arrived in the town, lunch time had past.We drove a few blocks and found the seafood restaurant which was indicated or recommended in our GPS system. When talking about eating in Taiwan, some western travelers, perhaps I should say my husband, can't understand Taiwanese eating philosophy, such as waiting in a long line just for gourmet food etc. 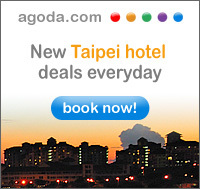 Almost each city or town has its special or famous food in Taiwan. The food became popular because the town or city is located in an agricultural center or a seafood market and the main sources of the food are directly from this area. Sellers emphasize the freshness and good quality of the food and special ingredients and taste of the food which attracts visitors to visit their stores. from staving and have the chance to taste good quality food. suggestions. So the customers would have some ideas about their dishes. Fresh fish were from the local fisherman's wharf. The shrimp were very fresh and delicious. that important. Can you take a guess how much for our lunch? and take any seafood with us. small piece to taste it. witness this activity. It would be another experience in my life. walked around to look at the catch selection. how many fish and how many kilograms. they were from the Pacific Ocean near Taiwan. exportation, so they remained in Taiwan for domestic consumers. This fishing boat just returned back to the harbor. filled with many curios people like me. were hired to do this job. required a colder environment to keep more fresh. The knife was an interesting subject to me. Buyers gathered together and got ready to bid on their targets. impressed with what we found. stationed at CCK Air Force Base in Taichung. near Taitung which was out of my imagination. fishing boats in the rough ocean. some housing area and arrived on this beach. motorcycle here now to enjoy this sand beach. often on the west coast.